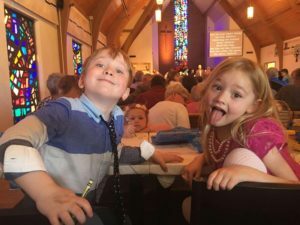 If you’ve been coming around Aldersgate UMC for a while, and you feel like you might want to make Aldersgate UMC your church home by becoming a member, fill out the form below. If you’re pretty new to us, you may want to take your time, get to some folks and our ministry before you decide to join. You do not need to be a member to be an active participant in our ministry! If you have not yet met with Pastor Paul to discuss membership, you will need to do so before you can join, but you can still fill out this form (he will contact you about a time to meet soon!) If you have any questions, please don’t hesitate to contact the office!